On March 24th 1900 a boy in Ohio shot the last recorded Passenger Pigeon. 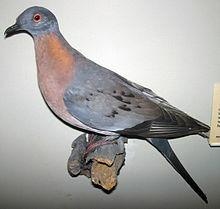 The last captive Passenger Pigeon died in her cage at Cincinnati Zoo 14 years later. Passenger Pigeons were once so numerous there were stories of flocks millions or even billions of birds big that would darken the sky for a day as they passed. When Europeans came to the Americas, 40% of all the birds in North America were Passenger Pigeons. Their range spread from Canada through to the Northeastern and Midwestern US down to the Southern states. It’s estimated they might have been the most common bird in the entire world. John James Audubon (who shot many many birds for his portraits) described a flock in 1933 that was a mile wide and blocked the sun for three days. Today would have been the birthday or author/illustrator Edward Gorey. I remember the back of my Old Possum’s Book of Practical Cats with his illustrations described Gorey as someone people assumed was English and dead, and that at that point he was neither. His work is both hard to describe and amazingly recognizable. Very small illustrations with lots of obelisks and sort of Victorian/Edwardian men, improbably architecture, and even more improbable creatures, all meticulously rendered in fine ink. February 12th is traditionally recognized as Lincoln’s birthday, but it was also the birthday of naturalist Charles Darwin. Darwin’s tree of life sketch. 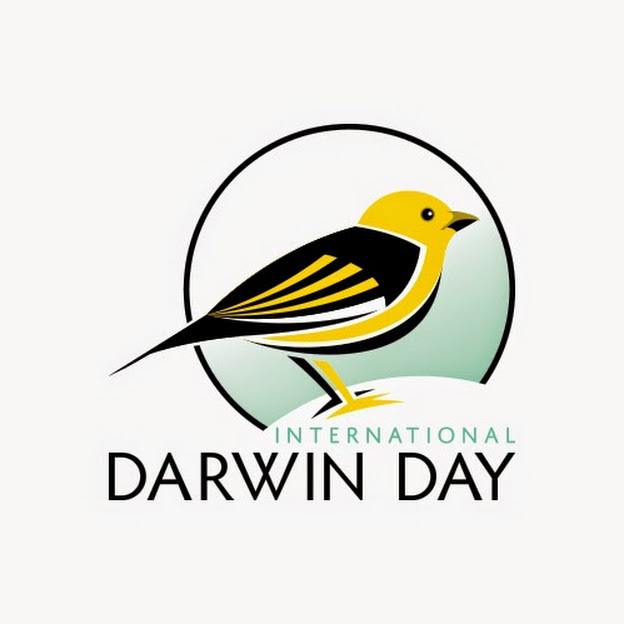 What’s interesting and a more than a little terrifying is that just looking up Darwin Day will find you a barrage of anti-science websites and information. So spare a little time to celebrate Darwin Day with a visit to a science museum, or to do something to support science education. You can visit http://darwinday.org/ for an interactive map to see if there are any special events in your area. Or check a science book out from your local library! Paua mosaic moon pendant I made. Closest I could get to an eclipse image from my own photographs! With the lunar eclipse coming up on January 31st I wanted to mention an astronomer, mathematician, and poet that I’d only recently heard of. Her name was Wang Zhenyi (1768-1797) and in her terribly brief 29 years she covered a lot of ground. Wang Zhenyi was born in 18th century China to a family that valued education. Her grandfather had a library of some 70 books, and when her father failed his imperial exams he studied medicine on his own and recorded his research, making a living as a travelling pharmacist. Her father taught her about medicine, mathematics and geography, her grandmother taught her poetry, and her grandfather shared his library and his love of astronomy. Some body fossils I made into jewelry. Fossils are traces or remains of things that were once alive. Most of us immediately picture giant dinosaurs, but there are also microfossils-fossils that can’t be seen without the aid of a microscope. Bacteria and pollen can fossilize too! Fossils that are physical remains of an organism are called body fossils. Fossils from actions, like footprints, are called trace fossils. In 2011 Christie’s auctioned off Elizabeth Taylor’s famous collection of jewelry. One piece was a natural saltwater pearl, diamond, ruby, and cultured pearl necklace designed by Cartier. So it belonged to a glamorous actress and is part of the story of a famous tempestuous romance. It’s an over the top gem encrusted necklace. Why care? It’s as encrusted with history as it is with diamonds!